BERLIN (Reuters) -- Volkswagen Group's labor leader has rejected a push by management for a big rise in productivity at the core VW brand and said planned structural changes were causing "unease" among workers, according to an interview published today. Talking to online platform IG Metall bei Volkswagen, Bernd Osterloh said a goal from VW brand chief Herbert Diess to increase productivity by 10 percent this year is "unrealistic" and may result in job cuts among salaried employees. "We will not support a further drive toward performance," the works council chief said. "We principally view productivity in a positive way ... 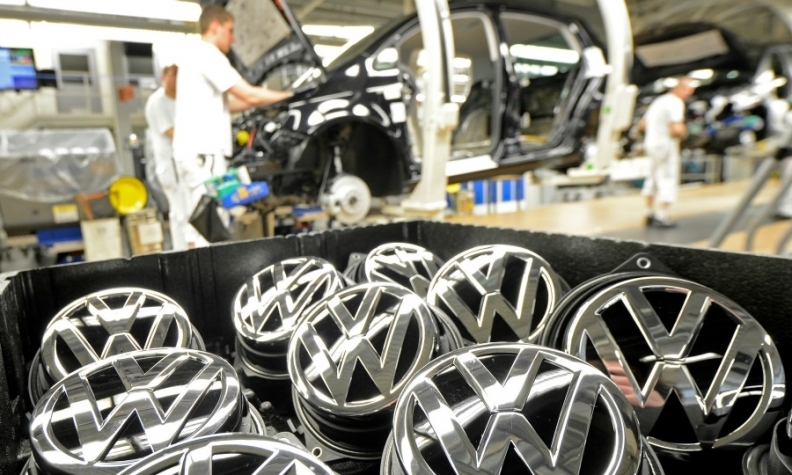 But we expect that VW at the same time guarantees the security of employment." Europe's largest automaker, faced with multi-billion euros of costs from its emissions-cheating scandal involving up to about 11 million vehicles, is in the midst of overhauling its troubled namesake brand where profit margins are languishing amid high labor outlays and costly in-house production of engines, transmissions and other components. "The 12-point plan of Mr. Diess is causing unease" among workers already disturbed by the fallout from the emissions crisis, said Osterloh. "At the moment there are more questions than answers. That is bad."